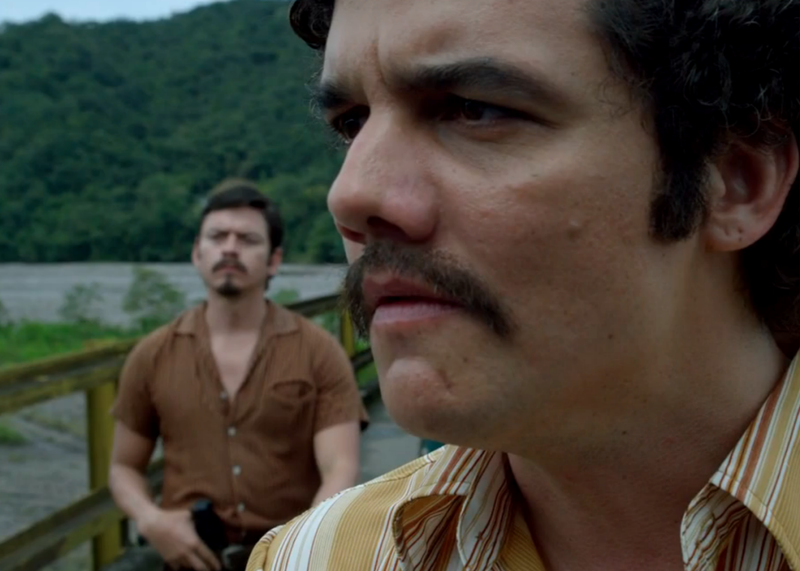 Netflix's Narcos' representation of Latin America might just be the first accurate attempt on TV. Just days after the world’s most powerful drug lord’s legendary escape, Netflix released the trailer for its new 10-episode original series Narcos, which will detail the rise of the original all-powerful drug lord, Pablo Escobar. There’s been a surge of interest in Escobar from Hollywood and television recently, even though it’s been more than 20 years since his death. Last year, there was one Pablo Escobar film starring Benicio del Toro and another will be released in 2016 starring John Leguizamo,* while this year’s Netflix’s serialized version features Game of Thrones’ Pedro Pascal as DEA agent Javier Peña and Wagner Moura as Escobar. Narcos doesn’t seem to avoid stereotypes entirely—the promotional art literally portrays Latin America as a huge pile of cocaine. But hopefully it takes advantage of these same stereotypes to delve deeper into where they came from. *Correction, July 17, 2015: This post originally misstated that the film starring John Leguizamo was released last year. It was not, it will be released in 2016.